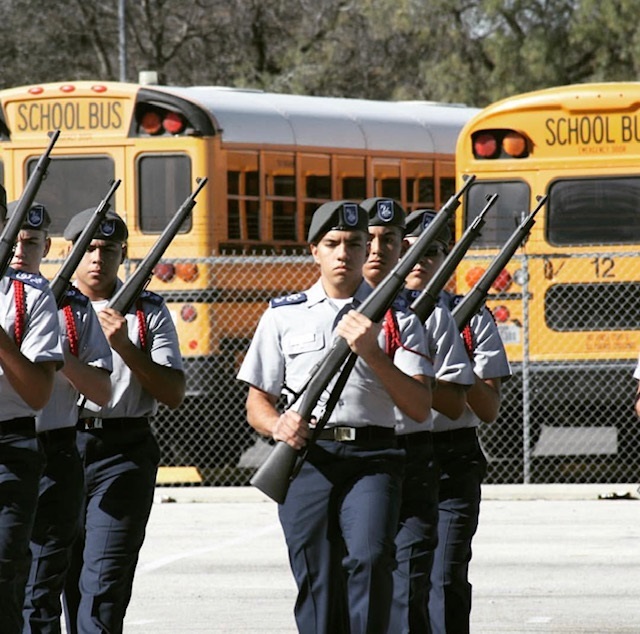 The Chaminade Guard Drill Team is back at it again with their successful competitions. This time, the Drill Team is once again up there among the best teams in the nation. However, they have one competition that will define all that they’ve been working for. That competition is none other than the Virginia Beach Competition. To get to the level of success the Drill Team is at, they’ve had to prepare for many months. Everyday after school, rain or shine, you will see the Chaminade Guard outside in the quad practicing their routines. They are able to practice everyday because of dedicated individuals like junior Andres Guzman. When asked how they prepare for a competition like Virginia Beach he says, “We prepare by extending our practices between 6 and 7 p.m. We focus on intensifying our rifle manual and focusing on perfecting our sequences.” Andres has been apart of the team since his freshman year and hopes to continue to lead the Drill Team to success going into his senior year. There are many other ‘behind the scenes’ aspects to preparing for a competition. Some of these tasks include shining shoes, ironing uniforms, and taping rifles. MSG Robles, the team moderator, is here at school every morning at 7 a.m. ready to start his day and welcome the team as they begin their morning practices. 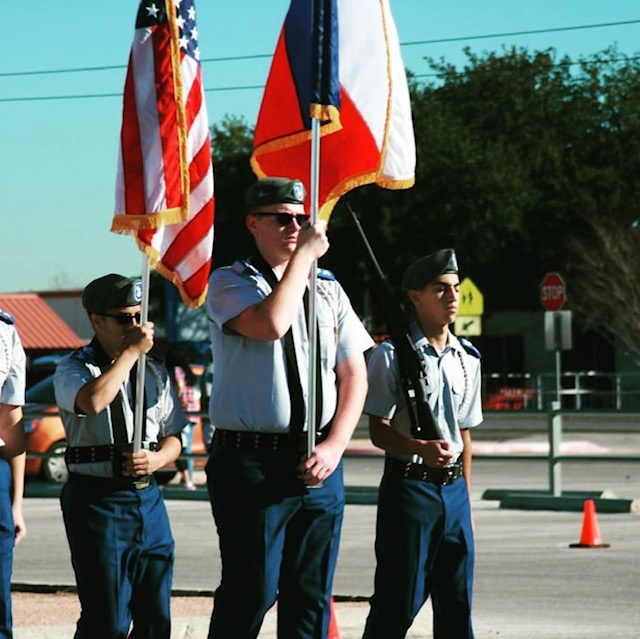 The Chaminade Guard has competed in many different competitions around the state of Texas. These competitions include El Paso, Waco, and San Antonio. Winning at almost every competition, the team has really put Central Catholic on the map when it comes to JROTC. 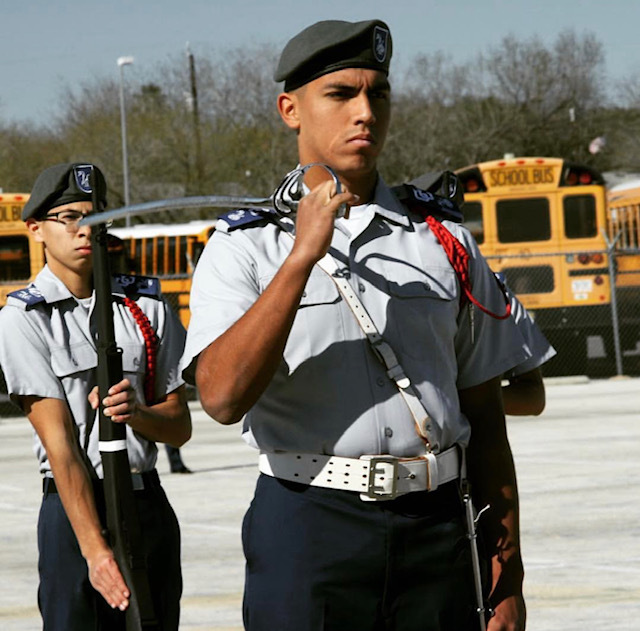 Nick Garza, a senior and commander of the Drill Team, has competed in different solo events, winning most of them. When asked to explain how Nick leads the team, Andres Guzman says, “Nick Garza has done a great job as a leader by not only focusing on the Drill Team, but the Color Guard as well. He keeps pushing us to perfect out sequences and fixing the small details that could cost us big at competition.” It is clear that Nick Garza is a force to reckoned with. He has lead the team to many wins, as well as Army Nationals in Virginia Beach over the weekend, in which the Drill Team has just returned. All of their hard work and dedication paid off this weekend at the competition, as they placed 6th overall out of 103 teams! They competed in many different categories in Virginia Beach. One of these categories includes “Inspection”, in which they placed third. Inspection is a stage where teams line up in front of the drill instructor and answer a series of questions that they are asked. The Drill Team also placed ninth in exhibition, where they executed the routine they have been practicing for many months. 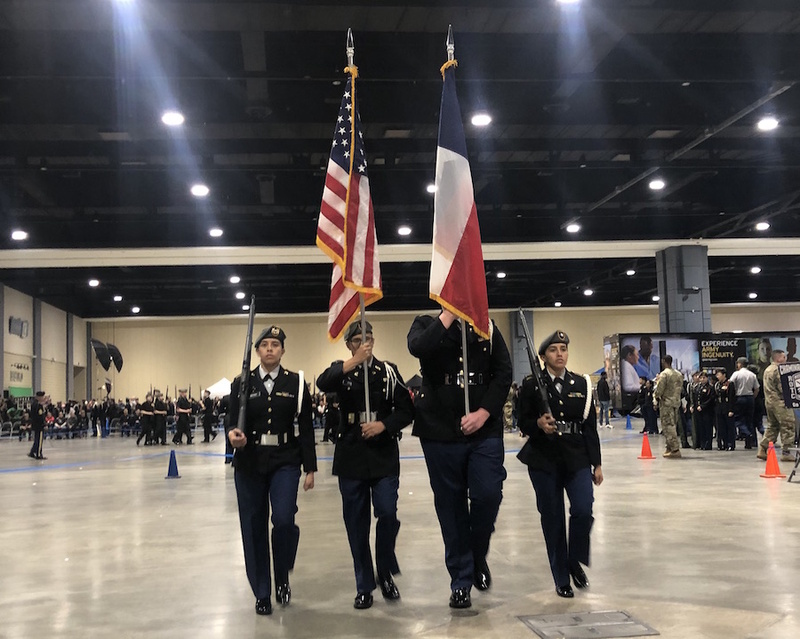 Other categories in which they competed include regulation (3rd overall), color guard (27th overall), dual (14th overall), and solo (16th overall). 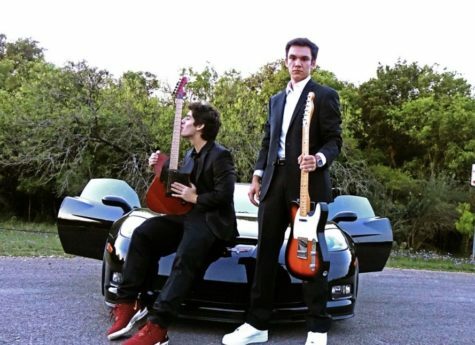 “Dual” is a stage that Andrew Ponce and Andres Guzman competed in together, in which the two face each other and execute a dual routine. This may include tossing two rifles back and forth from each other, and spinning them at the same time. With all of their success this year, it’s tough to imagine the Drill Team without the same guys we have this year. However, this does not mean that their success will not live on. This means that Juniors Andres Guzman and Juan Rivero will step up and lead the team going into their senior year. 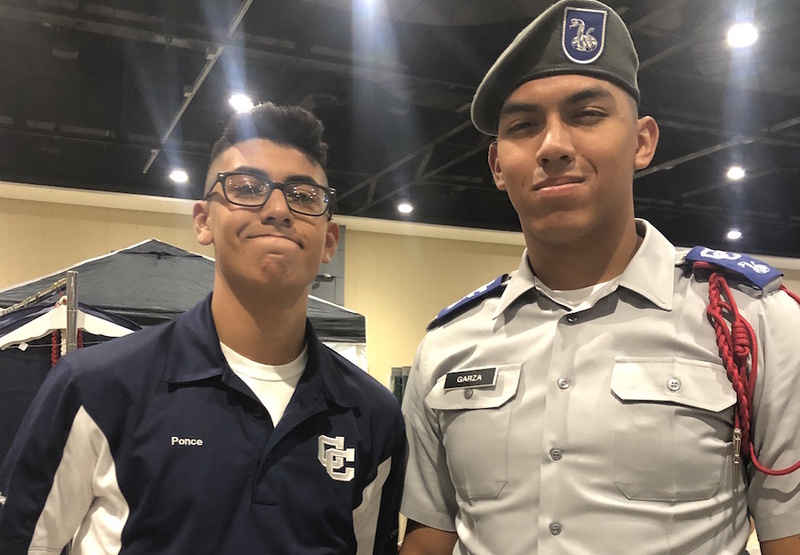 Once they leave, it will be up to sophomores like Andrew Ponce to lead the team and recruit more cadets to join the Chaminade Guard and to continue the successful legacy of the Drill Team. Comments are moderated and reviewed by SNO Sites and the administration of Central Catholic High School. Violators of SNO Sites terms and conditions, and CCHS policy and guidelines, will be held accountable for offensive or inappropriate language or content posted to this site.